Universal life insurance is a type of permanent insurance that covers you for your entire lifetime, with a cash-value component. Here, instead of just selecting a specific term and putting 100 percent of your premium toward the policy, part of your premium will actually go into a cash account in the policy. This cash account earns interest and accumulates tax-deferred. Variable life insurance is very similar to universal life with one major difference. With this type of policy you aren’t earning a specific rate of interest in a cash-value fund, but instead, you can invest this portion in a variety of different investments like mutual funds. So, you get more control and potentially higher returns from your cash value. As the name implies, whole life is meant to cover you for your whole life. Like universal life, whole life has a cash-value component. 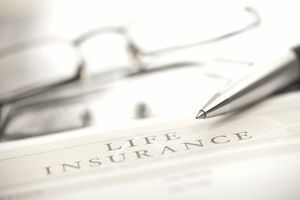 In most cases with a whole life policy, the premium and death benefit are fixed. The younger you purchase coverage, the lower your premiums are likely to be. Whole life is often marketed to parents as an investment for young children, on the premise that they can lock in coverage while they're young, making it more affordable once they become adults.